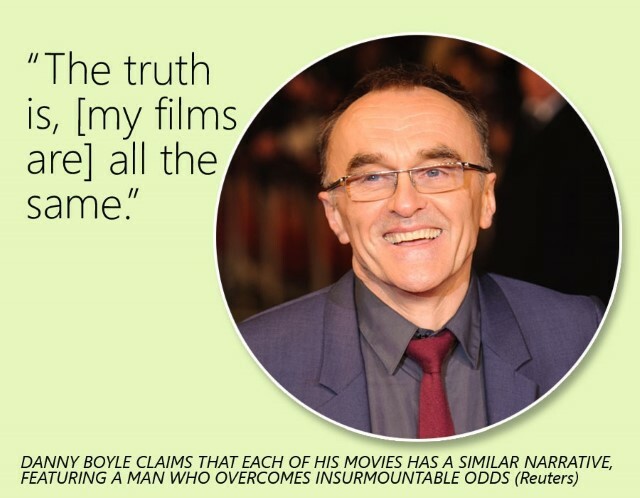 See the gallery for quotes by Danny Boyle. You can to use those 7 images of quotes as a desktop wallpapers. I love watching the Bond movies obviously and I grew up reading the books as a kid. I've always loved them because of that. I made this film 'The Beach,' which didn't take place in a city, and it didn't really suit me. I mean suspense, twists are almost impossible these days. I tend to score with songs from Western pop music. I trained in the theatre. I'd love to do a cop film in America. That's a genre I absolutely adore. I'm a big sports fan. Football. Cricket. I've always wanted to do a space movie. If you have to be persuaded about something, you shouldn't do it. If you love a book you tend not to follow its surface value, you follow the other things in it. Movies about space raise those questions of what we're doing here, and that inevitably introduces a spiritual dimension. One of Dickens' biggest influences was the growth of London as a Victorian city, and the extremes being created as it expanded. Originally I'm a big pop-music aficionado, that's my love. People say you never remember anybody who dies in movies, and it's true, you don't. You don't even remember people who disappear. The extraordinary thing about India is that it's such a family place. It's full of families everywhere. The problem with being British... I don't know if it's me being British or being raised a strict Catholic, but you never really enjoy success. When they're good, there is nothing like a big film. You don't realize it, but often people are frightened of the director. 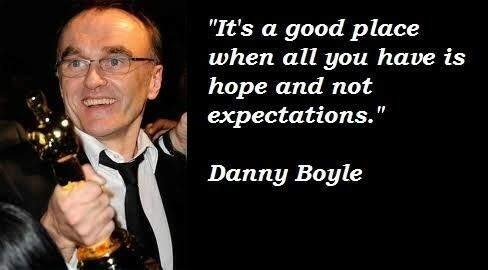 Much more quotes by Danny Boyle below the page. You know what actors are like; they moisturize every night. They're frozen in time. Actors want to impress at the beginning, so you take advantage of that by suddenly saying, 'Right, you're here for two weeks.' What you're doing is creating a siege mentality. A lot of film directors are quite scared of actors. They are a bit of a nightmare sometimes, but I like them. It looks like cunning, but you try to get extra things from them all the time, by stealth, by making them feel confident, so they trust you and you can push a bit. Actors are steeped in a world of agents and where the next job is coming from and what are their expenses and what is the hotel like. You want to take them out of that world and dump them into another world, so that when you meet them on the screen they don't seem like the guy who was in two others movies that year. Although computer chips now are thinner, they're more powerful, they're not as reliable. You'd harvest computer chips from the 1980s from all around the world because they're reliable. Always changing genres, making very different films is a good idea. It's a way of making yourself feel vulnerable again, getting back to that innocence. As is working within a circumspect budget. Both of my sisters have been teachers and they used to say you get asked between 300 and 600 questions every day which you have to answer. That's exactly what directing is. And the vast majority of those questions are not very interesting really, but they need somebody to make a decision - a good one or a bad one - and they follow it. I always say to anybody who's going over to America for the first time, 'Whatever you do, go and see a popular mainstream film with a big audience.' Because people shout out. You never get that in Britain. Everybody's so quiet, scared to laugh. It's like being in church. I don't want people to sit there and objectively watch the film. I want them to experience it as something that's under their skin, so you try to make the films really tactile. I find that people find a way out of misery through humor and it's humor that's often unacceptable to people who are not in quite such a state of misery. I have this theory that your first film is always your best film in some way. I always try to get back to that moment when you're not relying on things you've done before. I like action movies, even though I think action movies are kind of derided now. But there is something extraordinary about action movies, which is absolutely linked to the invention of cinema and what cinema is and why we love it. I'd love to do a modern-day musical that's full of original music. To get your contemporaries to sing and dance without looking foolish and for it to be transformational and magical and all those things a musical is supposed to be. I've never done a film before where every single person in the audience knows the ending. I mean suspense, twists are almost impossible these days. People are blogging your endings from their cinema seats. My dad was a labourer and my mum had exactly the same job as Noel Gallagher's mum - she was a dinner lady at our local school. Everyone comes over from Ireland and they get the same jobs. 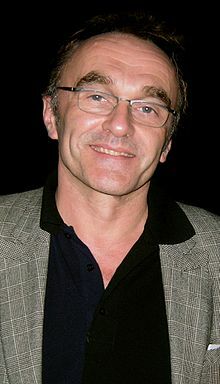 Some of us are interested in directors, but really the vast majority of us are interested in actors. You experience the films through the actors, so they're all locked into your imagination in some kind of layer of fantasy or hatred or wherever they settle into your imagination. To be a film-maker, you have to lead. You have to be psychotic in your desire to do something. People always like the easy route. You have to push very hard to get something unusual, something different. You experience the films through the actors, so they're all locked into your imagination in some kind of layer of fantasy or hatred or wherever they settle into your imagination. I want people to leave the cinema feeling that something's been confirmed for them about life. As soon as you think you can do whatever you want and you have whatever great professional in the world waiting to work with you, then you are sunk. I always think, when there's stuff that people don't like, I always say that if I have another success, I'll enjoy it more, but you don't really. 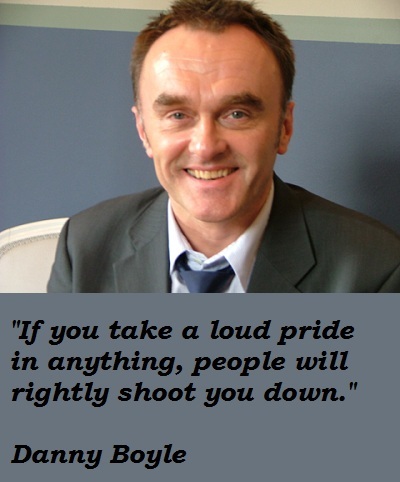 If you take a loud pride in anything, people will rightly shoot you down. That survival instinct, that will to live, that need to get back to life again, is more powerful than any consideration of taste, decency, politeness, manners, civility. Anything. It's such a powerful force. The sun is the most important thing in everybody's life, whether you're a plant, an animal or a fish, and we take it for granted. You can't tell someone they are wrong about their own life. The great thing with film is that it doesn't have an ego. It's just a film. Everybody that makes them has an ego, and the problem with awards and stuff like that is that it always affects the egos, and everyone gets stained by it in some way. And that can be fine and very innocent, but it can be horrible as well. For us, destiny always feels... if you obey, it's almost a passive thing. I don't want to make pompous, serious films; I like films that have a kind of vivacity about them. I grew up in a city, I'm a city person - I go on holiday and I'm bored. I haven't got anything against films that are about the minutia of relationships or customs, but I love extremes. I kind of call myself an atheist, I suppose - although quite a spiritual atheist, I hope. I like films that have a kind of vivacity about them. I love that sense of change that you'd get in pop music every three minutes, every four minutes.